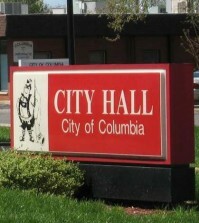 Columbia City Administrator James “Jimmy” Morani submitted his letter of resignation following the April 1 meeting of the Columbia City Council meeting, but it was no April Fools’ joke. Morani, who has lived in the area since 1995 and worked for Columbia since 2014, has accepted a position as town manager in Abingdon, Va.
That effort was furthered by the several city department heads Morani helped hire during his tenure. In his new role in Abingdon, Morani said he wants to “strike a balance of preservation and growth” in a city whose economy is based on a historical downtown district as well as a developing commercial district. Morani, whose father served in the military, lived on the east coast for the first 12 years of his life. He said he was excited to find a new challenge in an area that has a similar culture as the Midwest. Morani added that he plans to return to this area often. Morani’s final day as Columbia’s city administrator will be May 3.